The cream of theatre in Wales, a dozen of the best companies, is at the opening weekend in Edinburgh. 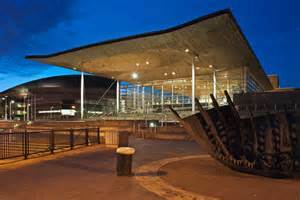 With fine timing a Senedd Committee is tasked with looking at the subject of non-ACW income generation. It has put its brief out for consultation with a closing date of 25th August. The remedies are not easy although some areas look more promising than others. This is a rare, and welcome opportunity, for those who care about the arts to make their perspective known to the legislators. From the website of the Senedd. "The vast majority of the Welsh Government’s budget allocations for the arts are for the Arts Council of Wales: £31.2 million revenue out of £31.7 million allocated in this area in the 2017-18 draft budget. Revenue funding in this area increased by 3.5% in cash terms compared to the 2016-17 revised baseline. Despite this increase in funding for the Arts Council, the Cabinet Secretary has asked the Council to “accelerate its work to help its portfolio organisations, and the wider sector, to increase their self-generated income”. The Committee’s inquiry will investigate the success of the arts sector in Wales at increasing its non-public funding, the distribution of non-public arts funding in Wales and international models of best-practice that Wales could look to emulate in this regard. The level of non-public funding distributed in Wales and how this compares to the rest of the UK.